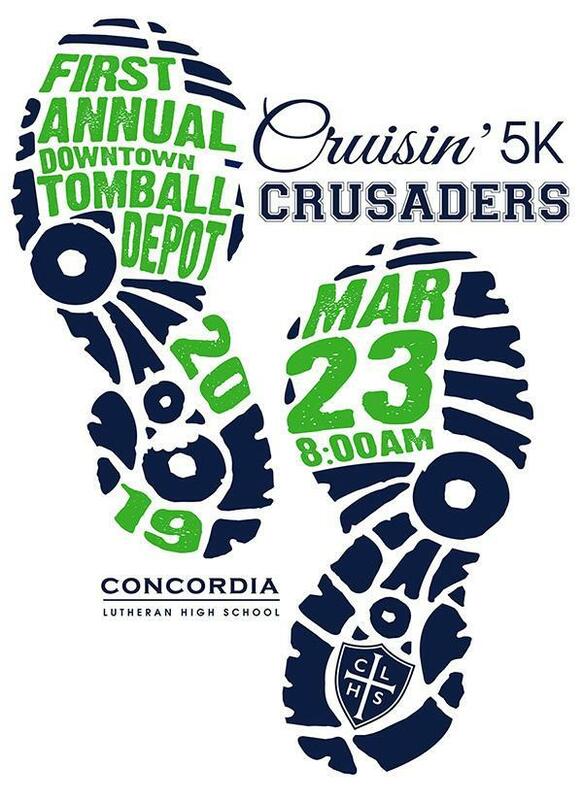 Concordia Lutheran High School is excited to announce the inaugural Cruisin’ Crusaders 5K Run/Walk in downtown Tomball on Saturday, March 23, 2019. Funds raised from the event will help Concordia’s boys and girls cross country programs, as well as the campus improvements of renovating the main campus outdoor athletic facilities. $30 for 5K race and $20 for untimed one mile run/walk. Register in person on race day from 6:30-7:30 AM (No t-shirt guarantee). Race day registration is $35 for 5K race and $25 for untimed one mile run/walk. Awards will be given to the top three finishers in each age category for the 5K run. All kids (10 and under) participating in the untimed one mile run/walk will receive a participation ribbon. Runners are also eligible to compete for a spirit prize for Best Team Theme/Costumes. Teams must consist of at least five runners. Please register your team by entering your team name at online registration OR by signing up with all team members present at the registration table on race morning by 7:30 am. 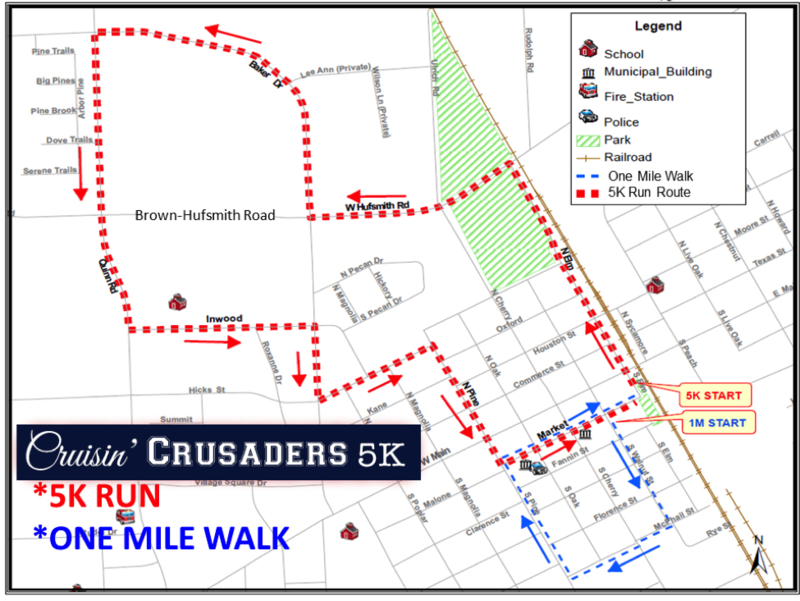 Please join us at the Depot for post race refueling snacks, music by the Concordia band, sponsor tents, a First Aid station sponsored by Houston Methodist, and awards following the one mile run/walk. Unofficial scrolling results will also be available on a screen near the finish. Thank you to the city of Tomball for their partnership in putting on this race! Photos from the day are available for viewing and downloading.